Lentas or Levin (Greek Λέντας), Lentas is a coastal village 75 km south of Heraklion, on the south coast of Crete in Greece. It belongs to the municipality of Agii Deka (Greek Άγιοι Δέκα). The name of Lentas possibly derives from the Greek word Λέοντας (in English, "lion"). 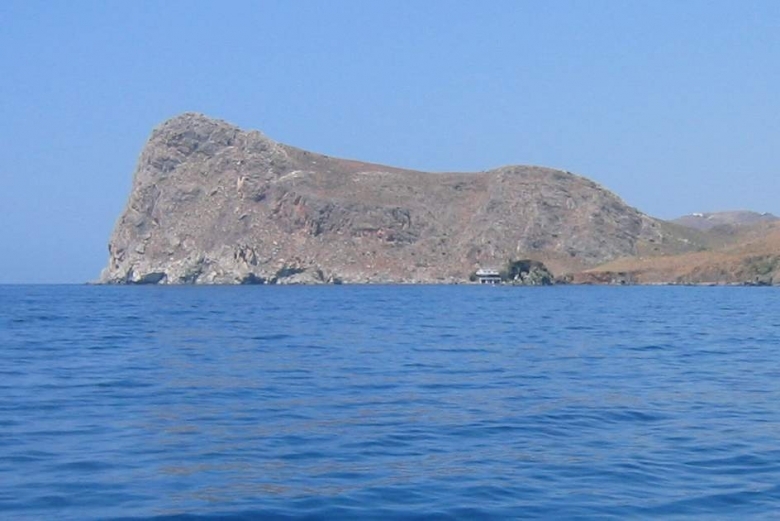 It refers to the lion shaped cape that makes the small protected bay of Lentas. This cape is documented in medieval maps as Cape Liontas (Greek Ακρ. Λιώντας). Lentas has a rich past and there are evidence that it had been first habitated from the Neolithic and Early Minoan period (3rd millennium BC). Lentas (ancient Greek: Λἐβην (Leben)) is also known to be one of the two harbours of Gortys, which became the most prominent city of Crete after the fall of Knossos. In the late Classical period (beginning of the 4th century B.C.) the Gortynians established the sanctuary of Asklepios at the harbour. During the tremendous earthquake of 46 B.C. Lentas was destroyed and subsequently rebuilt. Gortys later was the Province's capital during the Roman era, which also comprised Cyrnaica (ancient Libya). In the early Christian and Byzantine periods, a small settlement developed and a basilica was erected. The small Byzantine church of St. John was built in the 14th century. The archaeological investigation of the site started after the first visit of the English captain H. Spratt, in the middle of the 19th century. Excavations were carried out by the Italian Archaeological School at Athens in 1900, 1910 and 1912-13, and revealed the sanctuary and other buildings. Since then no excavation had taken place in the ancient city until recent years, when the investigations of the Greek Archaeological Service brought to light the Minoan settlement and graves. Today in Lentas there is an archaeological site of the sanctuary of Asklepios (Greek Ασκληπειός) and the Byzantine church of St John. It is believed that Levin during the Roman occupation became a sanitarium where sick wealthy Romans, mainly from North Africa, received treatment. The treatment consisted of a diet with mineral water from an ancient spring near the temple of Asklepios, which was believed to have therapeutic properties, and local fruits. Today Lentas is a popular tourist destination and has rural and stock farming activities. Area Map in new Window.